This Casio EX-S10 video is OK but I bet a Sony Bloggie Touch HD video would be awesome. 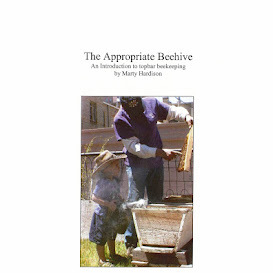 Note that the bees have begun to reduce the entrance with propolis. I put a quart of syrup into the hivetop feeder last night and it was gone this AM. We've been feeding since early August, in a late attempt to stimulate comb-building. But nothing's happening in the second box. I hope they're not just storing all the syrup, 'cause that would take away space for the queen to lay eggs, in which case the colony is going backwards.